The Argosy’s visual treasures are almost entirely limited to the Strahan period, from December 1865 to November 1867 (Goldman, p.265). During this short time the magazine published some of the outstanding artists working in the poetic style of ‘The Sixties’. 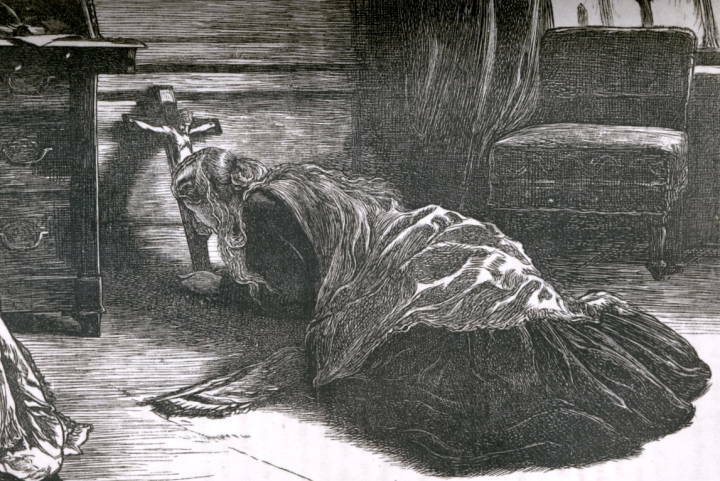 Frederick Sandys, Arthur Boyd Houghton, John Everett Millais and William Small are all represented, and there is little known but interesting work by Frederick Walker. The illustrations created by these designers are presented in a fairly incoherent way, with no sense of an over-arching strategy to create a distinct visual ‘look’ or texture, as there is in the case of Once a Week and The Cornhill Magazine; rather, The Argosy’s cargo of imposing images has to be traced in a series of sometimes random juxtapositions in which the illustration is often aesthetically far superior to the text it interprets. Reade’s description of this scene is characteristically formulaic (pp.344–45), but Small invests the writing with a monumentality and depth of feeling that re-writes the text in another register. As in so many illustrated tales of the period, the illustrations enhance and deepen the resonance of the source-material, converting Reade’s perfunctory novel of ideas into a far more satisfying artefact than it would have been without the images. 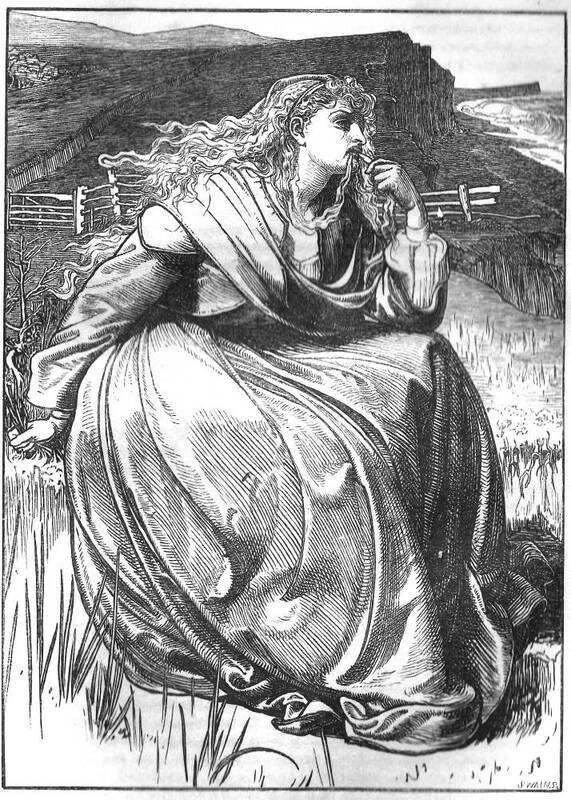 The same sort of enhancement can be traced in work by Millais and Houghton, and another form of alteration features in the illustration by Frederick Sandys for Christina Rossetti’s ‘If’. This famous design is perhaps the finest of The Argosy’s images, and it is important to point out that it alters our perceptions of Rossetti’s verse in fundamental ways. The poem laments the despair of waiting for a tardy lover: ‘If he would come to-day, to-day, to-day’ (p.336). 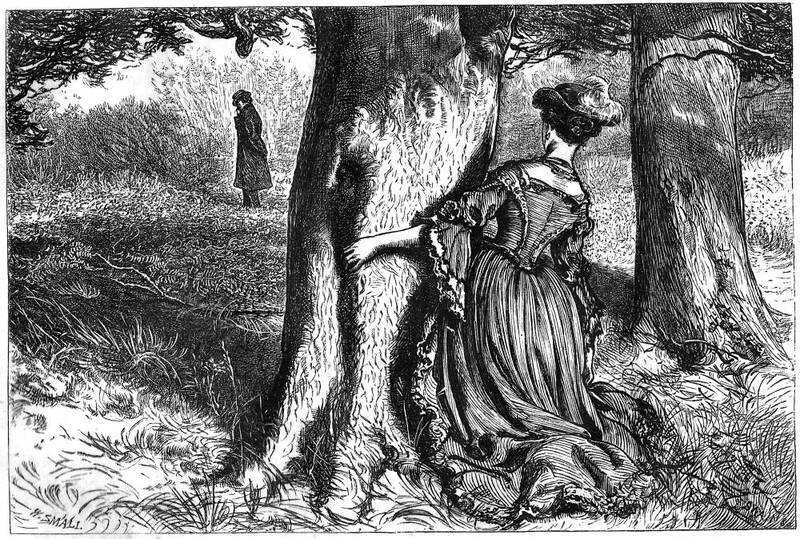 In the illustration, conversely, the character’s lament is converted into frustration: the weariness of the lines with their depressive longing for death are replaced by petulant gestures, with the girl biting her hair and tugging at grass. The impression she gives is also one of anger rather than Rossetti’s submissive longing for a martyr’s death, still waiting for the all-defining ‘he’. With its masculine jaw and carefully-modelled crinoline, Sandys’s robust figure denotes pique rather than resignation; an ill-fit with the text, it is nevertheless a more challenging work of art than Rossetti’s conventional poem. 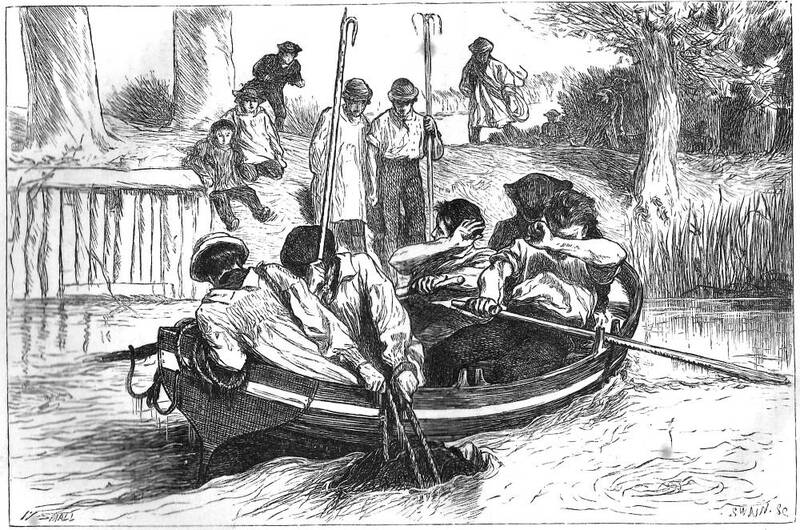 The Argosy’s illustrations might thus be described as a curious mix. Not quite fitting with their texts, they nevertheless present themselves as fine pieces of design. Once again, Strahan was surprisingly unaware of the effects he was creating. Goldman, Paul. Victorian Illustration: The Pre-Raphaelites, the Idyllic School and the High Victorians. Aldershot: Scolar, 1996; rev. ed., Lund Humphries, 2004. Phelgley, Jennifer Jean. ‘The Argosy’.Dictionary of Nineteenth Century Journalism.Ed. Laura Brake. Gent: Academia Press, 2009. Srebrnik, Patricia. Alexander Strahan: Victorian Publisher. Ann Arbor: University of Michigan Press, 1986.